I am looking to put together a motherboard replacement and wanted to get some opinions on a few things. In order to keep costs low and reduce board size, the controller ports would be moved to the expansion port area. Ideally the SGM features could be impletemented, but if not an expansion port could be done internally and a SGM could be installed inside the system. This board would only be F18a compatible so only VGA output would be available (although an off the shelf converter would fit inside with the extra room to convert to HDMI). The board would include new power reset switch functionality. 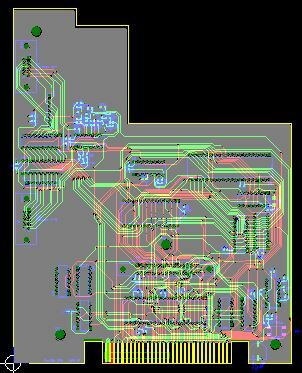 The attached picture shows a rough first pass at the PCB, Some stock images from the motherboard have been superimposed to give a general idea of where components would go. Is not Having the expansion port in the front a deal breaker for most or does this seem like it could be a solution for those looking for a replacement. Yup thats all I need. Can fit in a stock housing? Price 200 or less. I will buy 2. This is still very early in the development so it will be a little while before something is available. I really just wanted to get some feedback on moving the controller ports to the front and whether people would like that or if it would be a deal breaker. The idea of the motherboard was to be a drop in replacement with no modification to the case. Be nice to be able to use simpler power supply than CV stock. The new board would use a standard 5V power supply. Adding a native cpu pause switch would be highly desirable. Of course, I wish there were a way to signal it via the hand controller. SGM wouldn't be included unless authorized by opcode, which is unlikely. Putting a legit full SGM inside the case would be the more likely outcome for SGM support. A new casing would be nice, but molds are expensive. The board would support a pause button input. It might also use the reset button for pause functionality as well. I think there could be a way to implement the pause or reset over controller but would either require a modded controller or losing super action controller functionality. Maybe a switch could be installed to go from super action control to reset mode. - A new motherboard that easily drops in place of the current one. I would prefer to keep the controller ports and expansion ports in the same place. Again, this is just my personal preferences, and I don't expect anyone to make something based around this, so I'm open to seeing what ends up being developed! Is a +5V only supply going to be enough for allowing the Roller Controller to still be powered? I can't remember what voltages it need. After some discussions, I think I am going to split this into 2 projects. The first would be a full size replacement with built in F18a and additional mods. The second would be a miniCV that would either fit in a flashback or custom case, although some extra funding would be necessary for a new case as the injection molding could run $5K+. The roller controller runs off of 5V. The Roller controller would still plug into the standard power port and pull power from the new power supply. The only other voltage the could be used is 12V for the expansion module, but I am still going back and forth over whether to add support since it would need a seperate video output anyways. The expansion module can be upgraded to output S-video using an Atari 2600 video mod board. I just completed this for one of my Exp. Mod #1 units. Yeah I was thinking that would work or a new board could be made to supply the power and clock signals to the EM1 through an edge connector interface similar to what the coleco is supplying. I have been making some good progress. Getting close to ordering first prototype. Thanks for the update. Did you drop the 12V and clock signals to the expansion port? Right now the 12V isn't implemented, but i will connect the 12V line from the original power connector in case I want to add a composite mod for EM1. The issue with EM1 for me is that it will no longer be a drop in replacement and will require a mod to the case to get the video out. The expansion port should be fully wired (assuming the schematic is correct). Right now this is just a first prototype to verify the standard colecovision functionality. The final board will have more features. 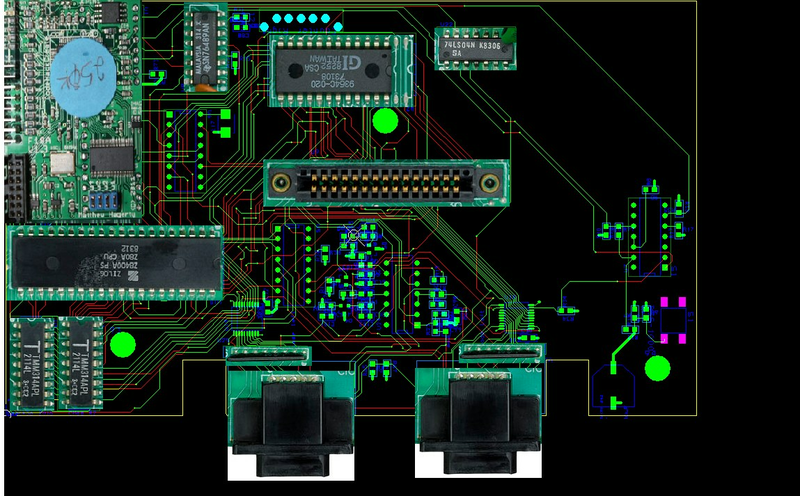 First prototype board has been ordered. Should get it in about 2 weeks. I'd be very interested in this if the price isn't horrible. I love the idea of a board to fit into a flashback also. Sockets, sockets, sockets. Things that can be replaced or wear out like the rom, or the controller chips, etc. If we can build in the SGM internally it would be ok, i guess. I would think it would not be worth adding in SGM, just keep expansion support because if Opcode does come out with newer version of SGM then it wouldn't help that you build in the SGM and don't have an expansion port to use the new version. 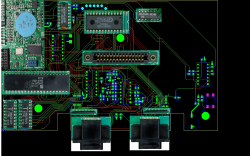 Currently the plan is to include the expansion port, although EM1 may not be supported as that would require a mod to the colecovision case to output a second video connector. Why do you need to output a second video connector from the CV case? I have s-video modded one of my EM1 modules and drilled a hole for the video out in the EM1.